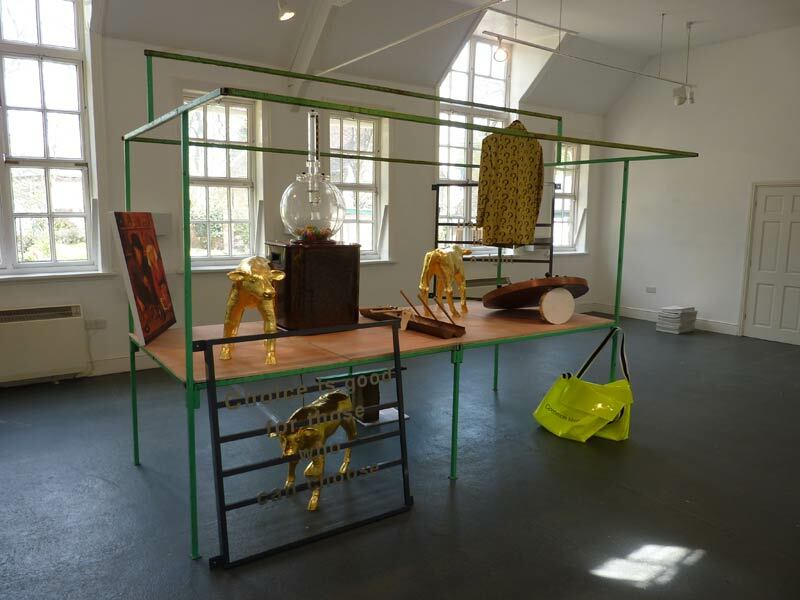 The New School House gallery – York Curated by Robert Teed and Paula Jackson. 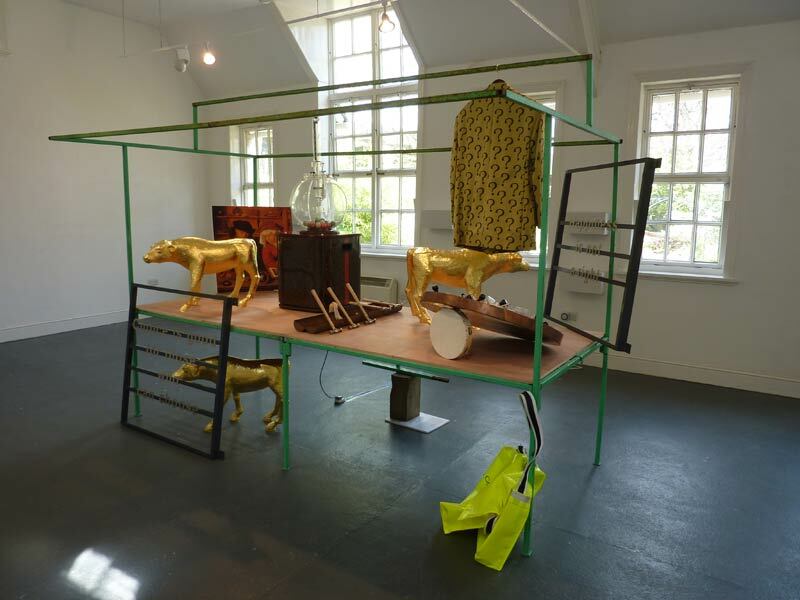 The ‘Stall of Gathered Things’ brings into differing relations many objects that Newling has deployed over 20 years of installations that review ‘social capital’ and ideas of an ‘ecology of place’ through transactions with and through people as participants in the work. 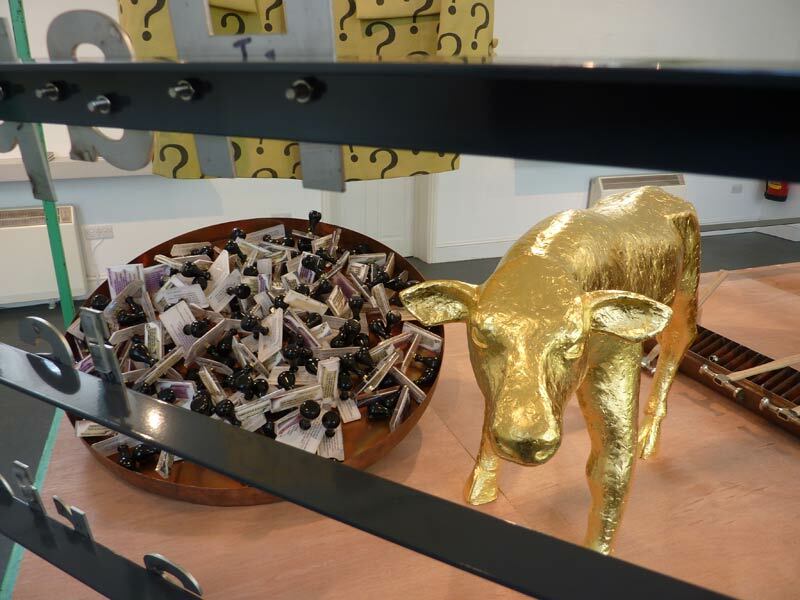 From gilded calves to a lottery machine each object sits in relation to the other within the frame of a market stall; all gathered together in a complex set of conversations both material and metaphoric. 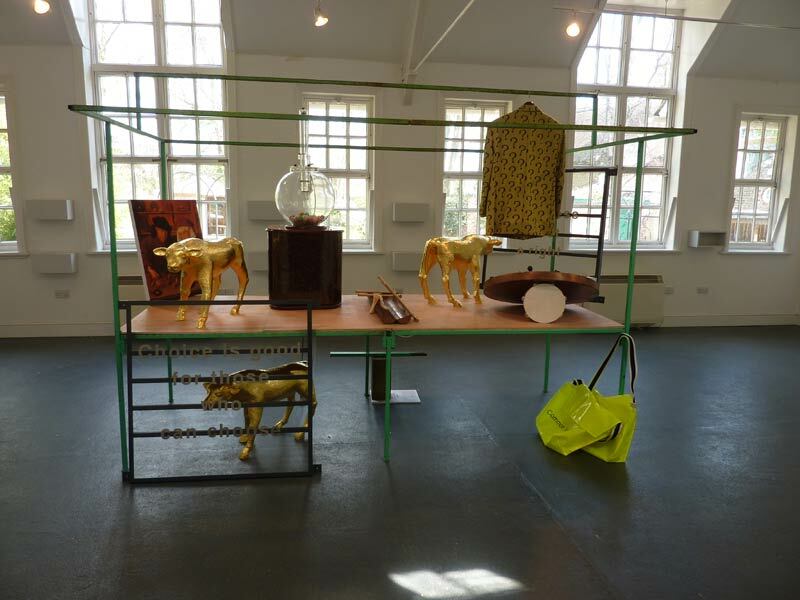 The work is seen in parallel with Newling’s project ‘Market of Hidden Labours’ (nine market stalls all talking of the hidden expressions and public transactions. Each stall occupied by one of nine commissioned artists.) 2nd & 3rd of May. Text from New School House Gallery press release.